Abbie Cornish is glamourous in State Room Jewelry and ELAHN Jewels at Comic-Con International 2013 on July 19th in San Diego, CA. 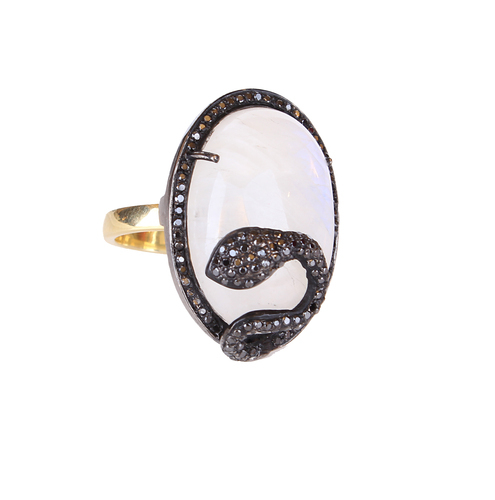 The blond bombshell paired State Room Jewelry’s Gold and Diamond Pave Oval Drop Earrings with the Moonstone Snake Ring in Black Diamonds and Sterling Silver. To top off her look, Abbie rocked a Gray Diamond Bracelet with Opal Stones in 18KT Yellow Gold by ELAHN Jewels. 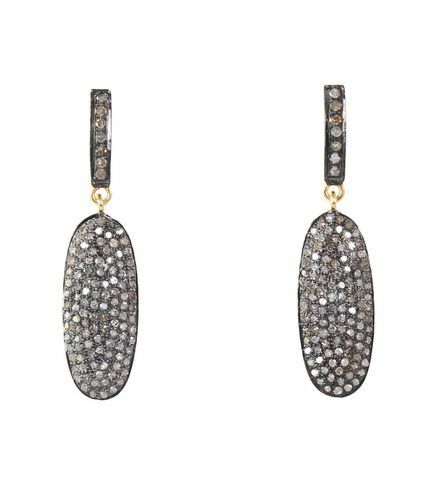 State Room Jewelry is the line by Sarin Minassian whose collection offers both subtle, elegant pieces to bolder, statement ones. The collection is inspired from trends from around the world, and provides pieces that can transition from day to night. State Room Jewelry has already been spotted on celebrities like Anne Hathaway, Kristen Kreuk, and Blake Lively and is available for purchase at http://www.stateroomjewelry.com. 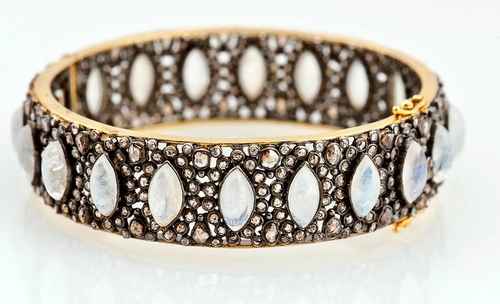 Gray Diamond Bracelet with Opal Stones in 18KT Yellow Gold by ELAHN Jewels. ELAHN Jewelry is the collaborative line by Leora Talmor and her mother Elahn. Elahn’s inspiration for the line came from her dreams of gems while growing up in Jerusalem. The line has a modern edge while adding gothic, victorian, and ancient eastern elements and making the pieces timeless and classic. The collection includes a mixture of rustic mined and sliced diamonds combined with classicly cut diamonds, sapphires, rubies, emeralds, rutilated quartz, and moonstones set in antiqued silver and gold. ELAHN Jewelry has already been seen on Jennifer Lawrence, Miranda Lambert, and Jessica Simpson, and is available for purchase at http://www.elahnjewels.com. This entry was posted in Celebrities, Jewelry and tagged Abbie Cornish, Comic-Con, ELAHN Jewels, jewelry, rings, State Room Jewelry. Bookmark the permalink.